Picture Downloader - Picture Grabber - Picture Ripper - Image Downloader - Image Grabber SAVING PICTURES FROM THE WEB IS A SNAP! 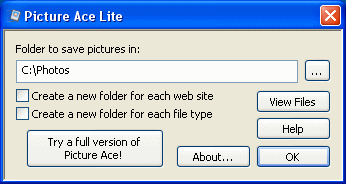 Picture Ace Lite is a free version of Picture Ace with limited functionality. The program allows you to save images from a web page without entering a file or a folder name. 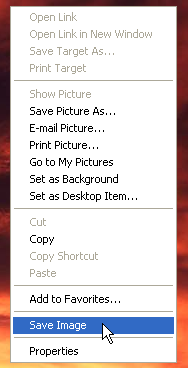 A new item - Save Image is added to the IE context menu. When you click this item, the program retrieves the image from the IE cache (Temporary Internet Files) and saves it to the specified folder.